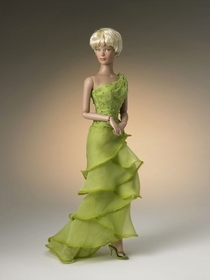 The theme at the MDCC Tonner Event was 'Re-Imagination' and Tonner dazzled collectors with his re-imagination storybook favorites as fashion dolls. 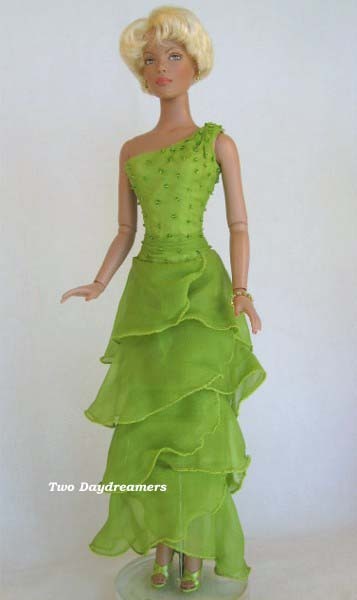 "Believe" (Tinkerbell) is wearing a one-shoulder gown of green silk chiffon with a hand-beaded, drop-waist, fitted bodice topping a skirt of tiered layers. 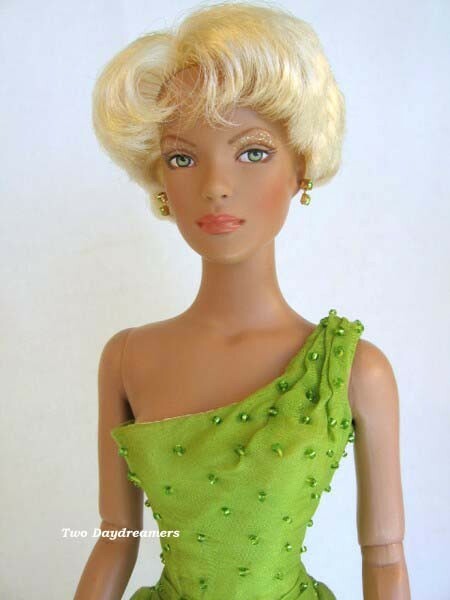 Her outfit also includes sheer pantyhose, matching green high-heeled sandals and is accessorized with a matching set of citron colored jeweled earrings and bracelet. Photographed - not displayed.